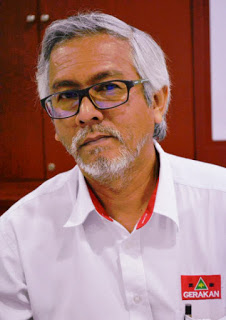 BUKIT LANJAN: Who is the Boss – YOU, the voter, or the YB? I have a very important question to ask everyone. It’s not a trick question, and I’m asking it as a Malaysian to another fellow Malaysian. WHO IS THE BOSS – YOU, THE VOTER OR THE YB? As you all know, some of you do comment on this blog’s posts. Recently, I read a comment that made me think deeply. The comment was this: It’s the same everywhere, some things never change. The comment was made in reference to a local rubbish problem. What struck me the most is the utter disappointment and that we should just accept the rubbish, just because it’s the same everywhere. I don’t think we would do nothing if there is rubbish around our area. We might complain, we might end up clearing the rubbish elsewhere, but I certainly think we shouldn’t give up just like that. No matter how hard an obstacle, we must always try our best to overcome it. Not everything in life is easy, and we grow and learn with each challenge we conquer. Have Malaysians given up so much so that it is okay for elected representatives to not bother about our problems and challenges? Why do you elect assemblymen, Members of Parliament and by extension, our state and federal governments, if rubbish will still be uncollected everywhere and complaints will fall on deaf ears? Is it okay for them to act like celebrities and big shots, condescending to let us have 5 seconds of their time? Most politicians of every party seem to be guilty of that. But I think we ourselves are to be blamed for it. It is our perception and mentality about politicians and the political process that is holding us in thrall to them. Other comments I came across include: Change can only happen from top down. This is the sort of dangerous thinking that is an excuse. Only others can make change happen, not ourselves. Only those in power can bring change. If you are an unknown, a small fry, then you are useless in Malaysia. So all of us are small fries, we are not big shot politicians, are we all useless? No we are not! Each and every one of us decides, by ourselves who we want as our representative. 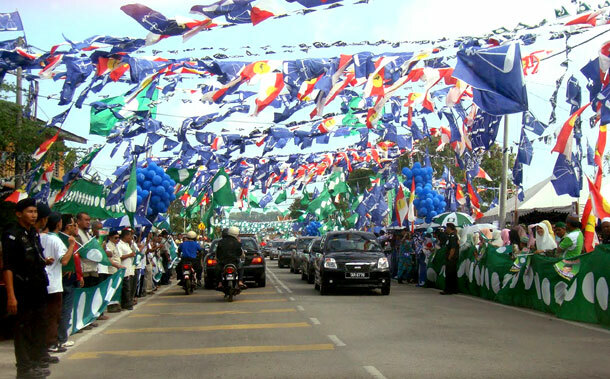 Malaysia's General Elections is just round the corner.. happening this 5th May 2013. After a rather long wait (for some/ many), finally we Malaysians will get to cast our votes! Another comment to think about: This general election is about voting BN and PH, candidates are secondary. All parties, BN and PH, are made of individuals. And those who control the party are usually those who run for election – candidates in other words. Truth is, many people do choose based on party lines and don’t even bother looking at the candidate. That’s why you end up with useless candidates who don’t do a thing after being elected. Some of them don’t even bother to act like candidates, relying on the party symbol to ensure victory. 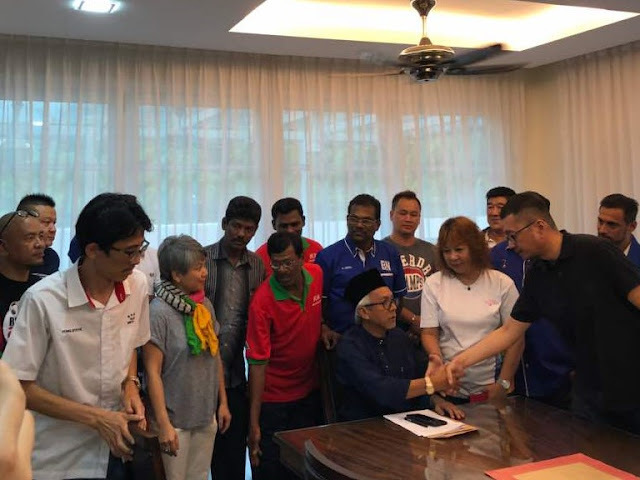 Previously, there was a saying in Sarawak that if a kerbau contested under the ‘dacing’ symbol, it would win the election! These days, however, it’s more popular to support Pakatan Harapan. Ambitious people are drawn to politics. Most of them want power; the difference is what they intend to do with that power. So don’t you think as a voter you SHOULD find out who you are electing and what he intends to do with the power you GIVE him or her? If you are so blind as to hand over something so valuable to someone based on a symbol, then you aren’t really thinking about your future properly. You aren’t interested in taking control of your life and destiny. You are just giving it away, your freedom, your rights - everything – because you are too plain lazy to find out more about who is representing you, and what he or she is willing to do for you if elected. Do not hide behind symbols. Do not just like a party or hate one because it is the popular thing to do. Find out about your candidates, find out about your assemblymen, your Members of Parliament. Do you even know who they are? Have you ever talked to them before? What have they done for you and your constituency? These are the things you should do as a responsible Malaysian and for yourself and your loved ones. Find out and learn. Your future is more important than just following trends and trying to be popular. But if most of you choose to do this, then what hope do we have as a nation to improve? Elections will change nothing if we do NOT look at the candidates we elect. Then it will be the same everywhere, because Malaysians won’t change. BUKIT LANJAN: Proton-Geely critics! Just shut-up! BUKIT LANJAN: Gong Xi Fa Cai to Malaysians!